MLS# 180064000 - 831 Mason Rd., Vista, CA 92084 - Abacus Properties Inc. Courtesy of Jerry MacDuffe, Broker, Jerry Mac Duffee. Large 6BR/7BA,plus duplex guest unit,2BR/1BA & 1BR/1BA.RV Barn has office with bath & kitchenette.Duplex separate laundry’s.View Deck & patios Great for large family or AIR B&B room rentals.Elder care .BR’s have wet bars & refrigerators. $12,000 per mo.potential income,previously leased. Plenty of parking, land for horses,green house,kennel,etc. Seasonal stream,drainage run off on rear of property. PLEASE DO NOT drive on property or disturb owner or tenants.appointment only!With approved loan application. 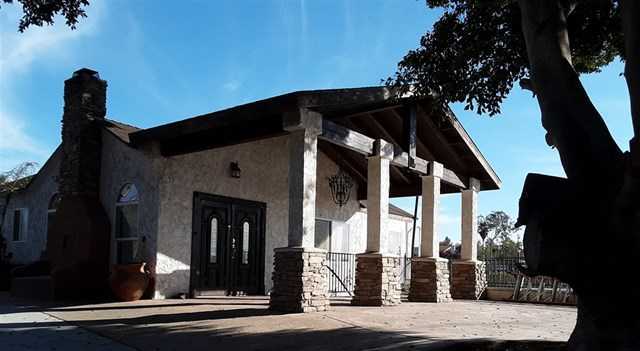 Please, send me more information on this property: MLS# 180064000 – $1,575,000 – 831 Mason Rd., Vista, CA 92084. I would like to schedule a private showing for this property: MLS# 180064000 – $1,575,000 – 831 Mason Rd., Vista, CA 92084.